This easy pattern has great optical illusions! When you first see the center cube, most will see a cube with a chunk cut out of it - your brain wants to perceive this with light shining down from above (it is your brain's default - light is always perceived as coming from above). If you can flip your perception upside down and view it as if a flashlight was looking up at a light colored ceiling, you will see a cube hanging from the ceiling in the back corner. Very cool optical illusion! This is a very easy design using strip piecing methods. 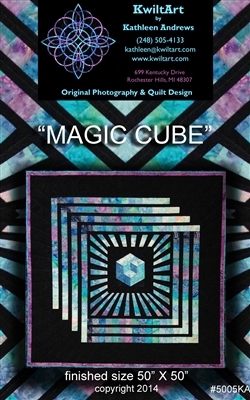 The center area can be paper pieced or template pieced. 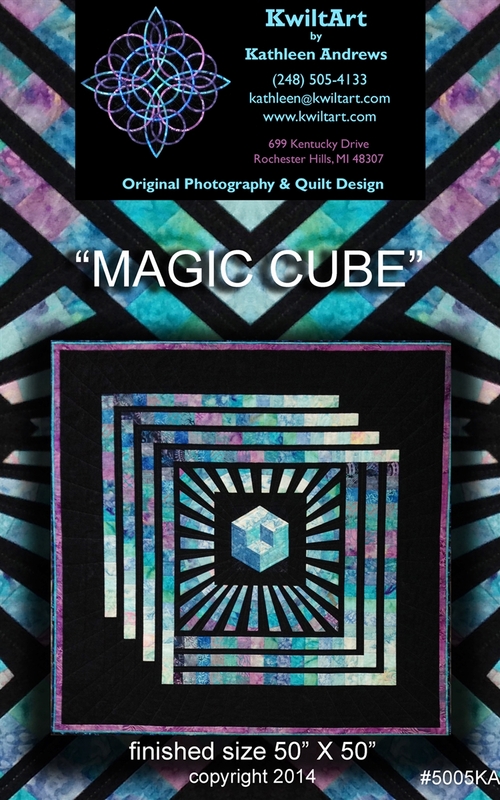 This pattern is for the intermediate quilter. Finished size 50" X 50".